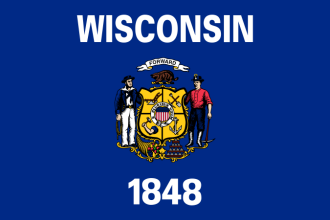 The 1852 vital records reporting law was largely ignored in Wisconsin, with a second law in 1878 gaining wider adherence. In October 1907, the state took over responsibility for maintaining Wisconsin birth records and death records, housing pre-1907 records also. The Wisconsin Vital Records office will issue certified copies to family only and informational (identical but uncertified) copies to anyone. Requests must be made in person, by fax, or by mail, but not by email, telephone, or online; the price includes a multi-year search. On-site searching of indexes and original records in the state office requires an appointment, and there is an online list by county for the earliest date by type of record. Vital records at the county level are held by the register of deeds at each county government center. Wisconsin death records and birth records before October 1907 can be searched online through the Wisconsin Historical Society. Record Access Requirements: Must have a signed release from person of record or immediate family member and include the reason for the inquiry for certified copies. Uncertified copy requests do not require a release or a reason, but cannot be expedited. Record Access Requirements: Must have a signed release from immediate family member for certified copies. Uncertified copy requests do not require a release.